Yellow sweet potatoes, yellow split peas and a deliciously tangy sauce made with mustard (also yellow). I’m no psychologist, but my guess is that the past few days of gray skies have subliminally driven me to create a recipe that holds some resemblance to rays of sunshine. So, with the Produce Geek‘s picks of the week and some of my own favorites, I’ve created a non-traditional (but aren’t they all?) 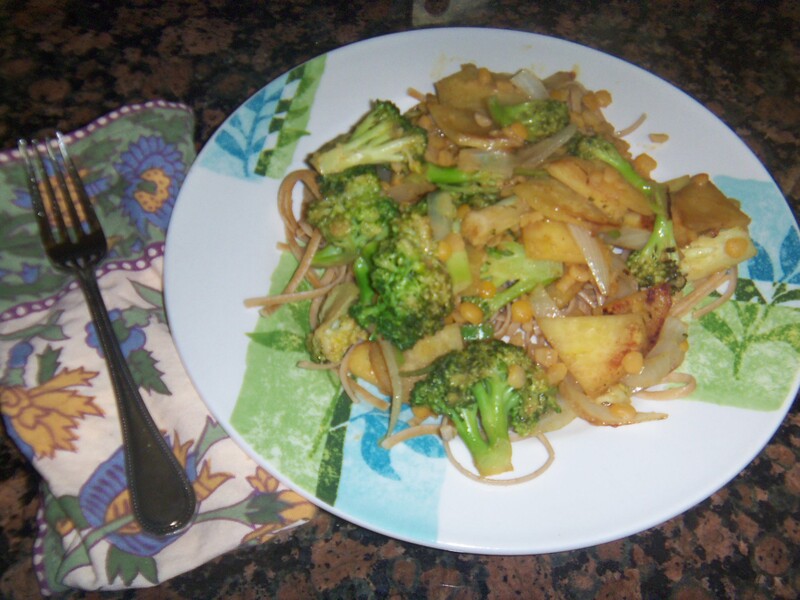 vegan stir-fry that will counter any degree of the winter doldrums . Vegetarian/vegan? You’re good to go – No meat or animal products here! Everyone: Dig in! And subscribe to Eat This Now directly to get the Produce Geek’s expert buying advice every week. Prepare the stir-fry sauce: Whisk together canola oil, white wine vinegar, mustard & honey into a small bowl and set aside. Warm 2 Tbsps Canola oil in an extra large deep frying pan or wok on medium heat. When the pan is hot, add sweet potatoes, broccoli and onions. Stir often until tender, but not overdone. Decrease heat to low and add long hot peppers, split peas, pasta and sauce. Stir until ingredients are warm and evenly distributed. 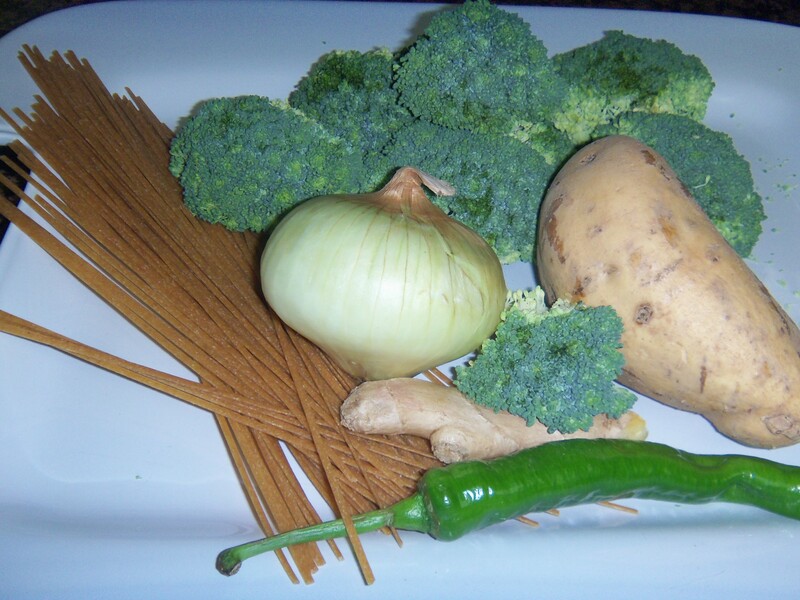 Makes 4 servings – Eat well!